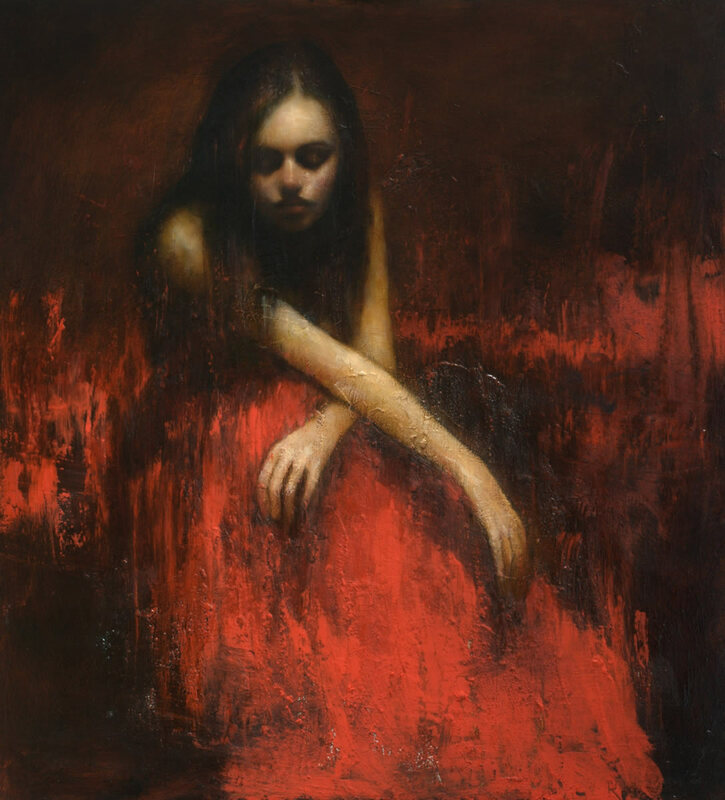 Born in Manchester in 1963, Mark’s formative years were spent in Manchester’s meat market where he would accompany his father (Harold Demsteader) to the family butchery and meat-packing business. Completely absorbed in the noise, smells, and sheer physicality of this environment, the young Mark learnt more about the structure of sinew, bone, and flesh—albeit livestock—than in any subsequent life drawing class. 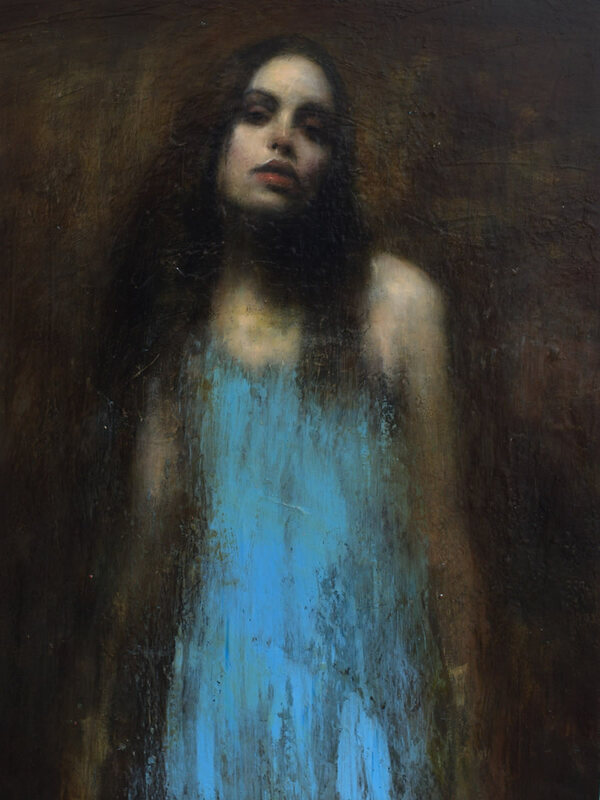 He passion was always figurative art, but after visiting Oldham Art Gallery and was so overwhelmed by the Victorian art on show he decided then and there that he wanted to paint. Mark completed two foundation courses: first one at Oldham and then Rochdale Colleges of Art. 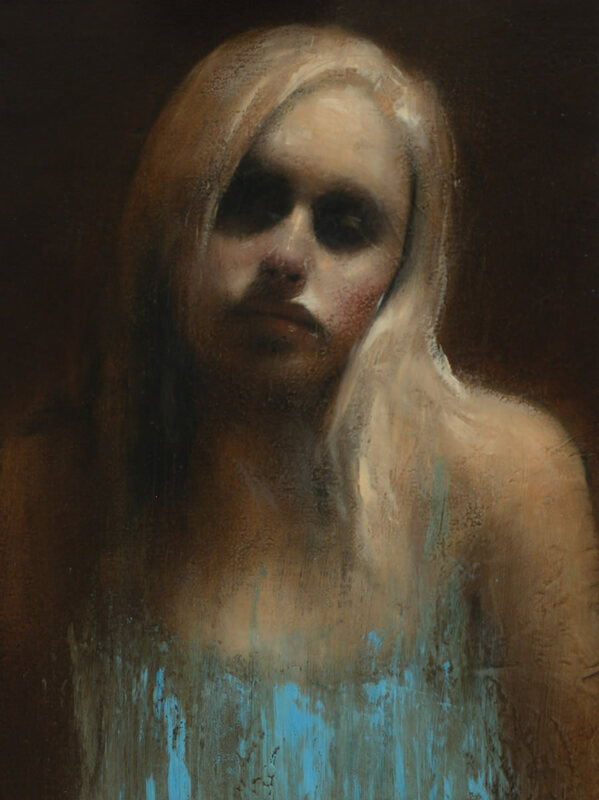 However, in the 1980s conceptual art dominated the mainstream market and there were little opportunities for a young figurative painter in Manchester. Forced to return to work at his father’s wholesale butchery, Mark continued to attend life classes throughout the next decade. In the early 1990s the family business fell victim to the recession and Mark was spurred on to find a commercial outlet for his work. To allow himself time to build a portfolio, he took a job as an art technician at an Oldham grammar school for another ten years. A short course at the Slade School of Fine Art gave him an opportunity to tour the London galleries with his portfolio, but with Brit Art in the ascendency he found drawing out of favour. 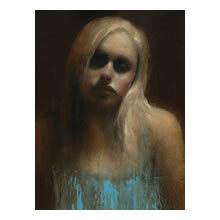 Eventually, a gallery in Blackheath offered him space in a mixed show where he sold six works. Mark gave notice at the grammar school soon after. 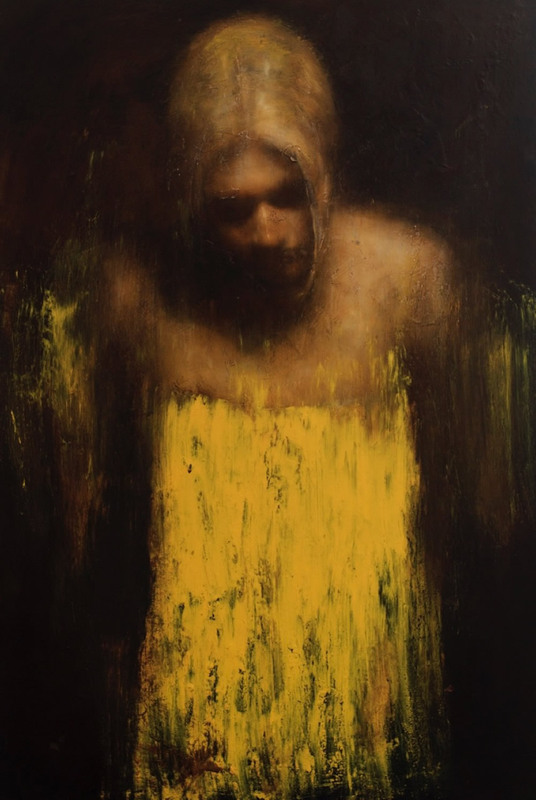 In recent years Mark`s reputation has flourished, such that he has become one of the most popular figurative artists working in Britain today. His powerful depictions of the female form in clean and assured lines of pastel, gouache and oil have sparked a renaissance of interest in traditional life drawing amongst the art collecting fraternity. This immense technical ability is tempered by the natural sensitivity with which he imbues each subject. 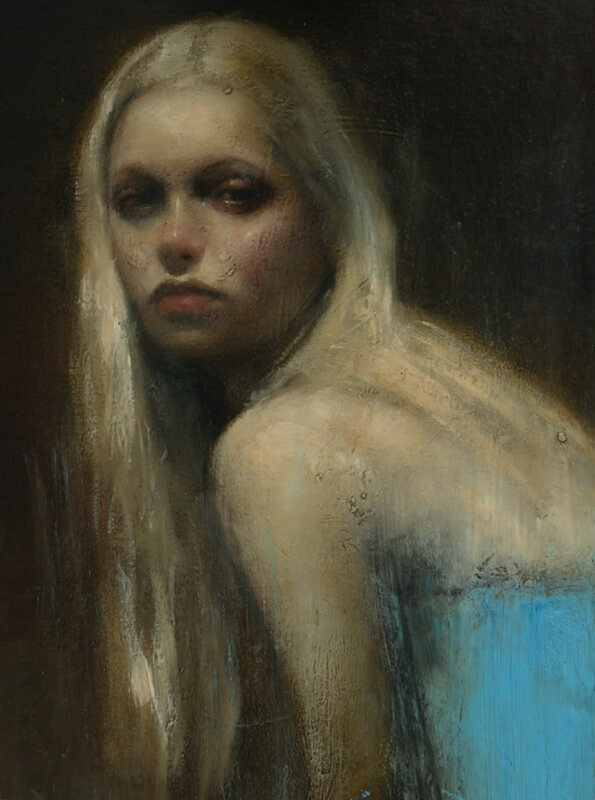 Although isolated in the picture plane each model seems to live and breathe, their expression and poise conveying a sense of narrative that invites the viewer to ask more questions about them than the artist answers. Mark's awards include The Public Eye Award, The Lyceum Prize and The Sidney Andrews Scholarship. 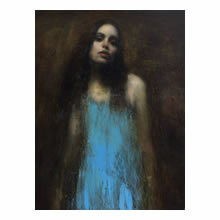 In recent years Mark has produced a surreal portrait of musician Anomie Belle for her album Flux and 34 paintings of Harry Potter actress Emma Watson. 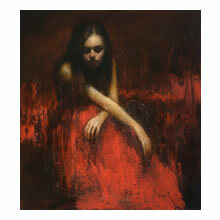 Mark Demsteader is now one of the country's most recognisable and collected figurative artists.